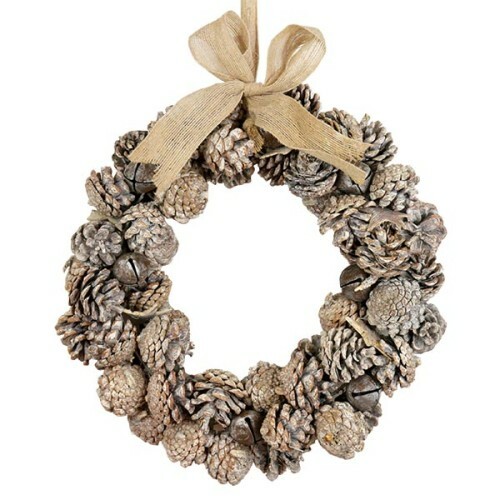 Wreath of beautiful Pine Cones with Christmas Bells. • A beautiful wreath made from a mix of frosted Pine Cones, Christmas Bells, Rustic Wooden Stars and a Hessian Bow. 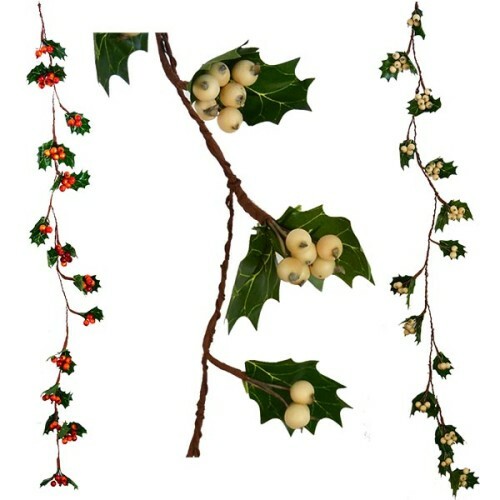 • The bells add a that festive feel to what is a truly lovely wreath. • Can be mounted using the hessian ribbon. 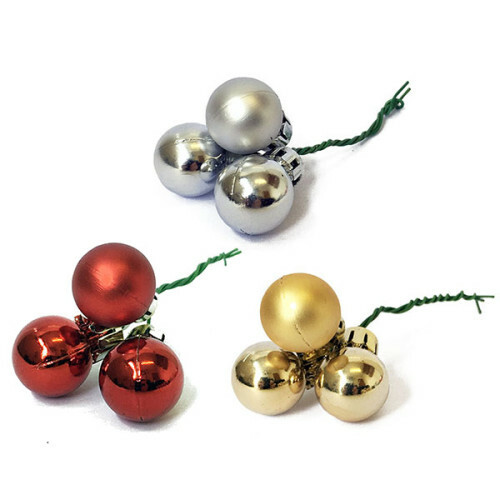 • Has a discrete wire centre giving the wreath strength and enabling it to hold its shape. • Overall external diameter of the wreath is 30cm. • An ideal wall or door decoration for the festive season. 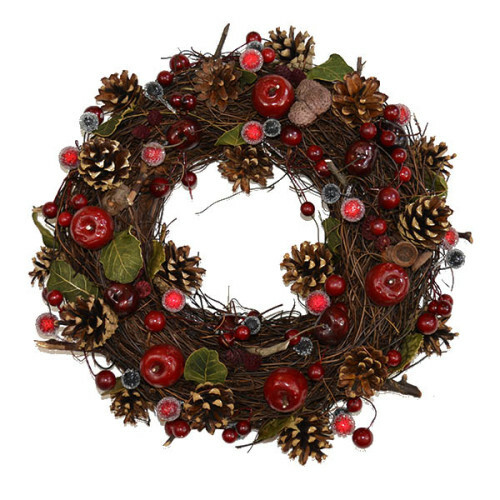 Wreath of Red Berries, Pine Cones, Pine Needles & Twigs. 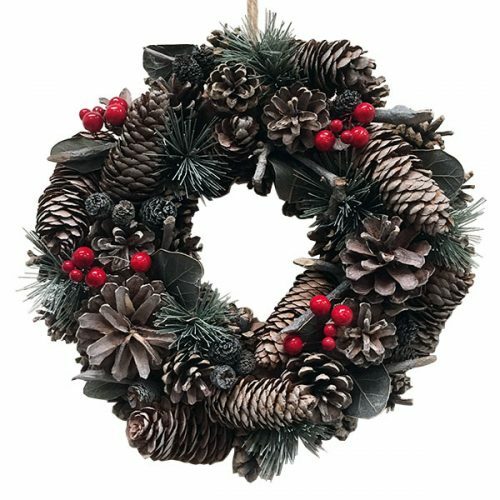 • A beautiful wreath made from a variety Pine Cones, deep red berries, pine branches, twigs and dried leaves. • All the materials are mounted to a sturdy, discrete coloured foam ring to ensure the wreath maintains its shape. • The material combination creates a natural and rustic coloured wreath. • Comes with a natural twine to enable fixing. • Bright artificial glittering small cone picks in White with silver glitter. 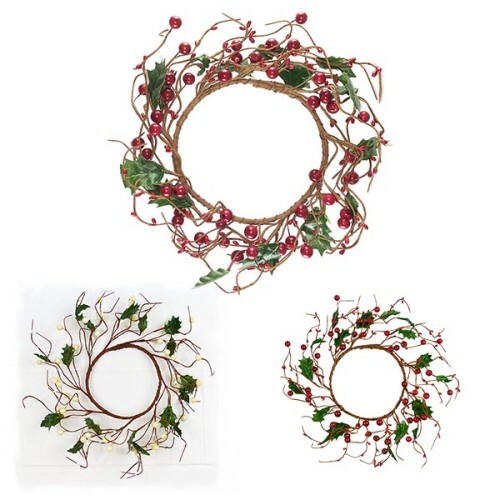 • Push into floral foam or wire to brighten up wreaths and decorations. Sold individually or in box of 6 picks (6 x 5 cone picks). 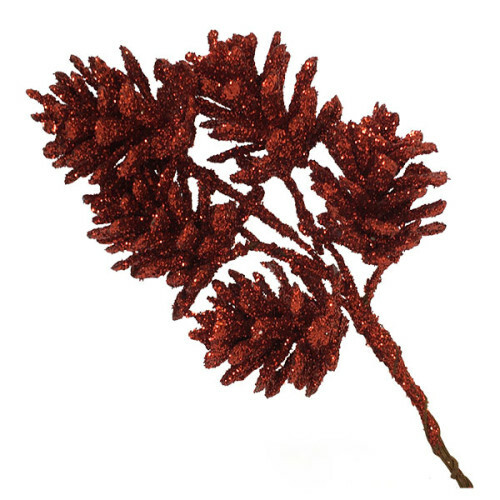 • Bright artificial glittering small cone picks in Red. 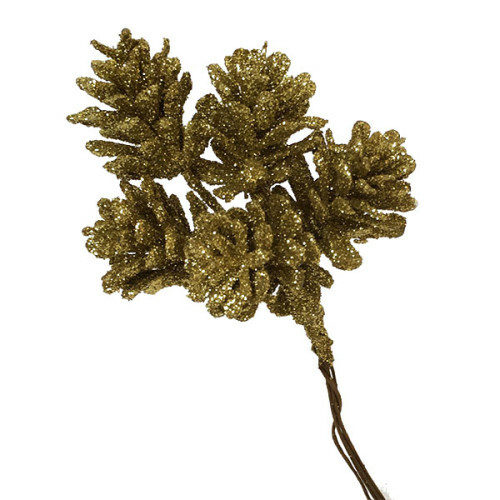 • Bright artificial glittering small cone picks in Gold. 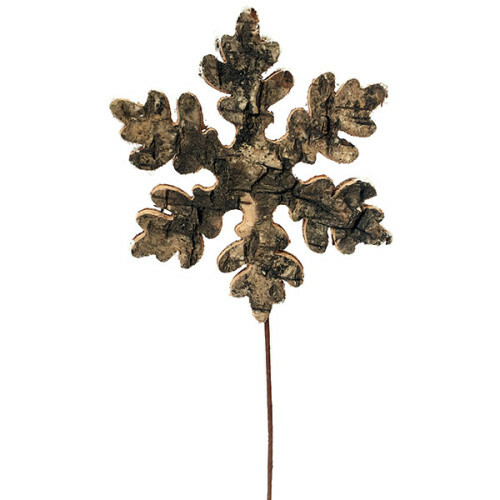 • Natural looking large snowflake shaped birch bark pick with soft snow edges. • Approx 8cm from point to point on the snowflake. • Total length approx 16cm. • Supplied individually or in a box of 12 pieces. 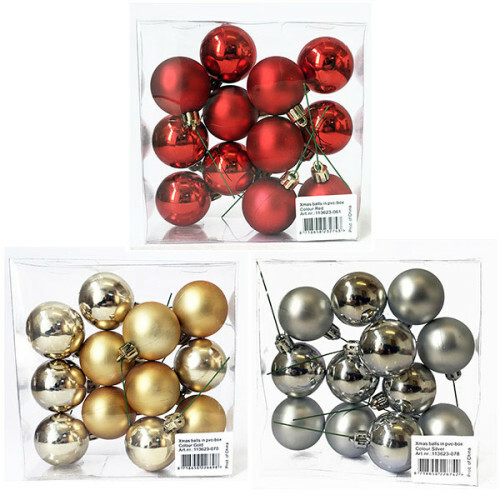 • Bright Christmas Balls on a wire stem. • Ball dimensions – 4cm Radius. 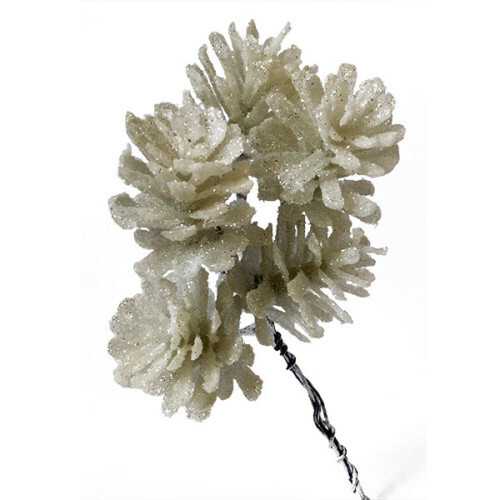 • Wire Stem dimensions – 6cm long. • Push into floral foam or wire to wreaths and decorations. Christmas Craft available from The Essentials Company the specialist suppliers of labelling, tagging, tying, marking, and floristry sundries for business, home and garden applications.